As osteonecrosis of jaw (ONJ) might be late onset complication of Dengue virus infection due to impaired blood supply and decreased immune responses, proper preventive measures should be taken to avoid development of this debilitating condition. 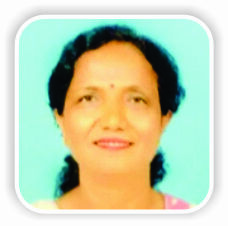 C/O Prakash Ramchandra Patil, Plot no. 1333/17, Flat no. 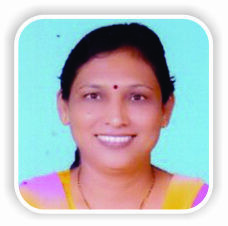 08, Torna Nagar, Sagarmal, Kolhapur – 416 008, Maharashtra, India. Introduction: Osteonecrosis of jaw (ONJ) is a debilitating condition which can lead to compromised dentition. Various causes for ONJ are suggested in the literature such as drugs, trauma, radiation, chemicals, bacterial, and fungal infections. Knowing etiology for particular case of ONJ is important to prevent further progression of this debilitating condition. It is the first case of ONJ reported with dengue virus as a possible etiology. Case Report: This article presents a case of 46-year-old male patient with extensive osteonecrosis of maxilla preceded by dengue fever. In the present case, all known causes for osteonecrosis were ruled out. The present article discusses dengue infection as a possible etiologic agent for ONJ. Conclusion: In the present case, probable cause for ONJ can be established as a dengue virus necessitating the need for proper preventive methods to avoid further complication of osteonecrosis. Keywords: Osteonecrosis, Dengue virus, NS1 antibodies, Cytotoxic factor, Osteomyelitis, noma. Various causes of osteonecrosis of jaw (ONJ) have been suggested in the literature. Most cases of ONJ have been reported in association with bisphosphonates. Non-bisphosphonate causes include systemic medications such assteroids, antiangiogenic drugs, trauma, radiation, and chemicals used in dental treatment like formocresol . Bacterial infections such asnoma, necrotizing ulcerative periodontitis, and viral infection like herpes zoster have been reported to be associated with ONJ. Fungal infections causing ONJ are aspergillosis and mucormycosis . Clinically, ONJ can be graded from one to four depending on the size of the lesion. Exploring underlying cause may be of utmost importance for therapeutics. This article aims to present a case of extensive osteonecrosis of maxilla in a patient with recent history of dengue fever. It also discusses the possible pathogenetic mechanism in the present case with its differential diagnosis. A 46-year-old male patient reported with complaint of pain in upper jaw region for1 year. There was a history of dengue fever with resulting leukopenia and thrombocytopenia 14-month back. The patient was positive for NS1 antibodies which are diagnostic for dengue infection . 2-month after episode of dengue fever patient experienced swelling of gums followed by recession exposing underlying bone. There was no history of prolonged medication, drug allergy, and any dental treatment. On clinical examination, intraorally (Fig. 1a and b), there was complete gingival recession with irregular exposure of alveolar bone and a part of basal bone in both the left and the right maxillary quadrants extending from lateral incisors to the first molar. Root pieces of 27, 28, and 17 were evident. The patient’s oral hygiene was poor. Orthopantomogram revealed irregular radiolucency involving alveolar bone and basal bone in both maxillary quadrants in the region of lateral incisor and the second molar (Fig. 2). Cone beam computed tomography and contrast-enhanced computed tomography(Fig. 3) showed bone destruction in the region of anterior hard palate. Provisional diagnosis of ONJ was given. Further, investigations were performed to rule out possible etiologic agents. There were non-specific findings on culture and Gram staining (Fig. 4). No acid-fast bacilli were evident on Ziehl–Neel senstaining (Fig. 5). On incisional biopsy, necrotic bone and marrow tissue were evident along with focus of inflammatory cells in hard tissue bit (Fig. 6), whereas soft tissue bit (Fig. 7) exhibited plump endothelial cells and blood vessel occlusion. Periodic acid Schiff (PAS) staining (Fig. 8) was performed to rule out fungal infections. Blood glucose, renal function tests, liver function tests, and HIV screening test were normal and ruled out the presence of any underlying systemic condition. The diagnosis of ONJ was continued, but no etiology could be attributed. ONJ is known to be caused by different etiologic agents .In the reported case, there was no history of use of bisphosphonate or antiangiogenic drugs, trauma, irradiation, and dental treatment. Other causes of immunosuppression such as diabetes mellitus, HIV infection, and prolonged systemic corticosteroid use were also excluded. Malignancy was excluded on the basis of histopathological examination. Clinical and microbiological findings did not correlate with any particular bacterial infection. Fungal infections were also excluded on the basis of findings on PAS staining. Hence, then, focus was shifted to viral infections. Predisposing factors for ONJ are impaired blood supply and decreased immune responses. Among viral infections, Herpes zoster may occasionally result in ONJ either by affecting the innervations of periosteum or through the direct vasculotropic effect of the virus. Both these factors lead to alteration of blood flow to the area and subsequently bone necrosis . Till now, no other viral infection is reported to cause ONJ. However, in the present case, there was a history of recent episode of dengue virus infection which probably could have predisposed to the development of ONJ by affecting the immune mechanism and vascularity. Initially, dengue virus localization was thought to occur only in phagocytic and dendritic cells with role of endothelial cells remaining unclear .Basu and Chaturvedi and Dalrymple and Mackow suggested that the initial localization of dengue virus occurs in endothelial cells. These cells then act as source of progeny virus which contributes to acute viremia and viral spread to CD4+ T cells, phagocytic cells, and dendritic cells. A unique cytokine, “cytotoxic factor” (CF) is produced by infected CD4+ T cells. CF then stimulates macrophages to form another CF, CF2. This CF2 induce increased production of nitric oxide in macrophages. This nitric oxide then produces free radicals, reactive oxygen species, leading to killing of target cells through apoptosis [4, 5]. This results inleukopenia as seen in the present case. Infected endothelial cells directly contribute to initiation of immune response by expression of chemotactic cytokines, immune cell-modulating cytokines, and a key complement activating factor. It seems that both direct viral cytopathic effects and immune-mediated damage by leukocyte recruitment and anti-dengue virus NS1 antibodies can cause injury to infected endothelial cells, leading to compromised blood supply [5, 6]. The patient in the present case also had poor oral hygiene and root pieces which may have served as foci of infection. These foci of infection along with impaired blood supply and decreased immunity might have resulted in extensive osteonecrosis of maxilla seen in the reported case. There are many conditions which mimic ONJ in one or more aspects. 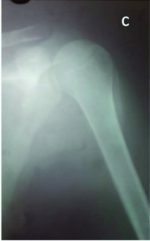 Differential diagnoses of ONJ include chronic suppurative osteomyelitis andnoma. Chronic suppurative osteomyelitis and ONJ can be differentiated on the basis of primary etiology. In osteomyelitis, primary etiology is infection of medullary portion of jaw bones, whereas in ONJ, it is an avascular necrosis of jaw bones. In addition, no involucrum and sequestrum formation is seen in ONJ. Histopathologically, chronic suppurative osteomyelitis shows the presence of necrotic bone with empty lacunae similar as seen in ONJ. However, in osteomyelitis, marked degree of inflammatory infiltrate is seen in a marrow tissue which is absent in ONJ. Remodeling of bone is evident in osteomyelitis, but it is absent in ONJ as bonehere is avascular . Noma is an orofacial infection that usually affects immunocompromised people and malnourished children with poor oral hygiene. Microorganisms, Prevotellainter media and Fusobacterium necrophorum, are considered to play a key role in noma. F. necrophorum produces dermonecrotic toxin. Thus, cutaneous involvement is seen in noma. Noma exhibits gangrenous involvement of tissues which is absent in ONJ as it is due to ischemia. Clinically, gangrenous involvement in noma presents as blackish discoloration of tissues . From the treatment point of view, ONJ can be staged into four stages and accordingly, treatment varies. Stage I refers to the presence of exposed bone, no soft tissue infection, and absence of symptoms. Stage II includes exposed bone, soft tissue infection and is usually symptomatic. 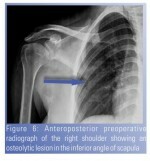 Stage III is symptomatic with extensive exposed bone and soft tissue infection. Stage IV includes extensive soft tissue infection with hard tissue involvement and is symptomatic . Stage I can be treated only by the use of chlorhexidine mouth rinses twice daily. In Stage II, in addition to chlorhexidine mouth rinses antibiotics and analgesics are given according to need. In both Stage III and Stage IV, chlorhexidine mouth rinses are used. In Stage III, soft tissue debridement is carried out, whereas in Stage IV, soft and hard tissue debridement is carried out followed by antibiotics and analgesics according to need . The present case belonged to Stage IV. The patient was treated by hard and soft tissue debridement followed by antibiotic regimen for 5 days and chlorhexidine mouth rinses for 1 month. Two more cases with recent dengue virus infection were reported. 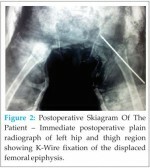 In one case, clinical picture was similar to the case presented over here. Whereas in the second case, there were multiple interradicular gingival swellings (unpublished data). In the present case, no other cause could be attributed to an extensive ONJ. Although no association has been reported previously, dengue virus by affecting endothelial cells and immune response probably predisposed to development of ONJ in the presence of poor oral hygiene. Knowing this association is important for proper prophylactic measures in dengue virus-infected patients to prevent further complication of ONJ. As dengue virus infection might predispose to ONJ proper follow up is required to prevent this debilitating condition. 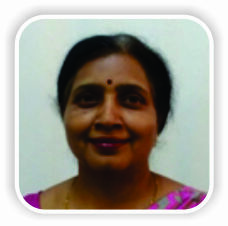 Furthermore, proper prophylactic measures directed at maintaining tissue blood supply, immunity, and good oral hygiene are essential as dengue virus can predispose to ONJ by affecting endothelial cells and immune response in the presence of poor oral hygiene which serves as focus of infection. 1. Almazrooa SA, Woo SB. Bisphosphonate and non-bisphosphonate-associated osteonecrosis of the jaw: A review. J Am Dent Assoc 2009;140:864-75. 2. Tenorio M. Laboratory diagnosis for dengue. Rev Inst Med Trop Sao Paulo 2012;54:S10-2. 3. Jessie K, Fong MY, Devi S, Lam SK, Wong KT. Localization of dengue virus in naturally infected human tissues, by immunohistochemistry and in situ hybridization. J Infect Dis 2004;189:1411-8. 4. Basu A, Chaturvedi UC. Vascular endothelium: The battlefield of dengue viruses. FEMS Immunol Med Microbiol 2008;53:287-99. 5. Dalrymple NA, Mackow ER. Endothelial cells elicit immune-enhancing responses to dengue virus infection. J Virol 2012;86:6408-15. 6. Lei HY, Yeh TM, Liu HS, Lin YS, Chen SH, Liu CC, et al. Immunopathogenesis of dengue virus infection. J Biomed Sci 2001;8:377-88. 7. 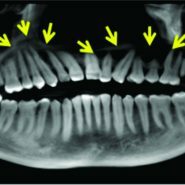 Tolstunov L, Cox D, Javid B. Odontogenic osteomyelitis or bisphosphonate-related osteonecrosis of mandible of patient with autoimmune disease: Clinical dilemma. Compendium 2012;33:e116-22. 8. Enwonwu CO, Falkler WA, Idigbe EO. Oro-facial gangrene (noma/cancrum oris): Pathogenetic mechanisms. Crit Rev Oral Biol Med 2000;11:159-71. 9. Van Poznak C, Estilo C.. Osteonecrosis of the jaw in cancer patients receiving IV bisphosphonates. Oncology(Williston Park).2006;20(9):1053-62; discussion 1065-6. 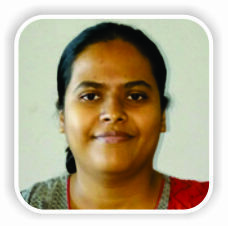 How to Cite This Article: Patil P P, Bhavthankar J D, Mandale M S, Humbe J G. Jaw Osteonecrosis Preceded by Dengue Fever – Possible Pathogenetic Mechanism. Journal of Orthopaedic Case Reports 2018 Nov-Dec; 8(6): 9-12.